This is Ozzy Osbourne in all his raw and unfiltered glory; four decades worth of his best quotes, oddest observations, risqué retorts, and yes, even articulate ponderings. Ozzy might come across as a nutter (and rightly so), but when you sit down and seriously consider what he’s saying…well, he’s f**king Ozzy Osbourne and he’s got things to say! 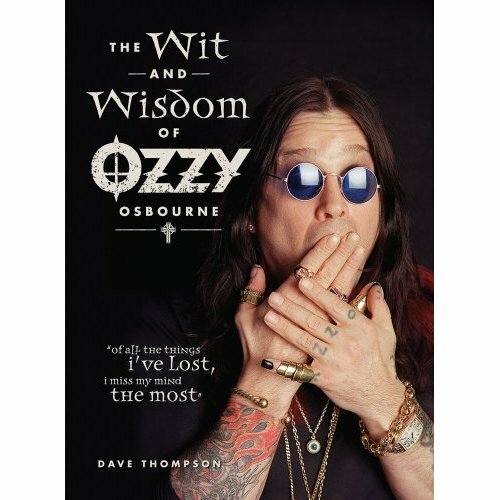 The Wit & Wisdom of Ozzy Osbourne reveals Ozzy’s philosophy of life and reflects the spirit of the man who made Black Sabbath famous, Christian groups frightened, and The Osbournes–a hit reality TV show.